Discover Slow Moments with SlowBox | Slow Living LDN. SlowBox is a monthly subscription box that challenges the way we live and consume. It’s lovingly curated by Glasgow-based wife and wife duo Gabby and Sally, who decided to slow their own pace of life and pursue a more considered way of living. Originally founded a couple of years back as ‘Hyggebox’, the brand decided to move away from the Danish concept of ‘hygge’ after it started to become over-comercialised, thus diluting its meaning. Founders Gabby and Sally would arguably agree that slow living is also not something you can acquire with a single purchase. Instead, with SlowBox, they offer more than a monthly delivery of products. 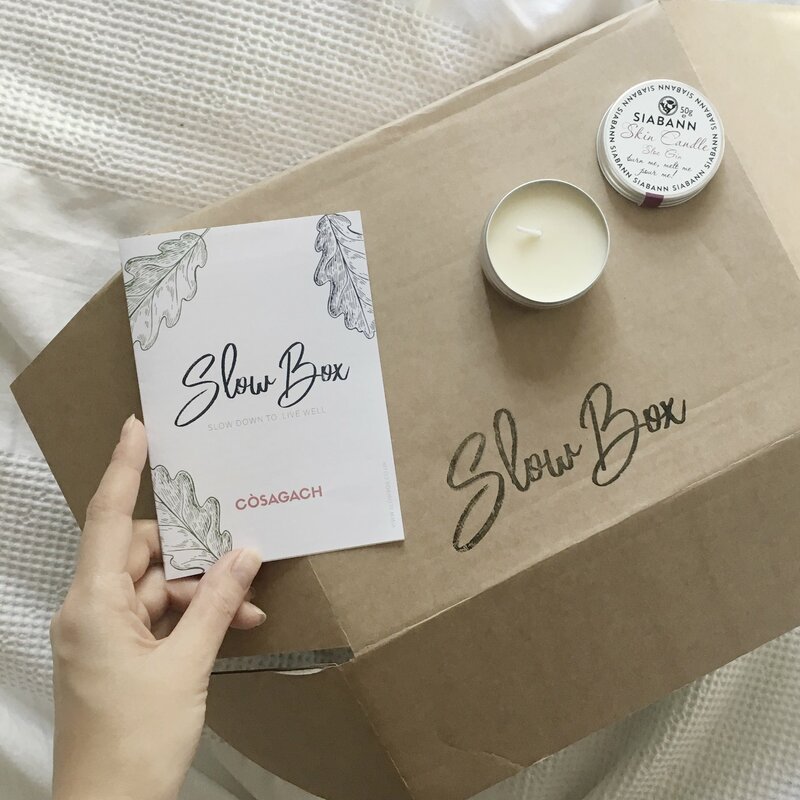 SlowBox is a collection of five carefully sourced items that aim to help recipients embrace a slower lifestyle, while at the same time supporting local talent and small businesses. It reminds us to celebrate things that take time to create and in turn, to take our time to enjoy them. After exploring the glorification of busy and stats about just how stressed the UK and Londoners are, it’s likely that many of us could benefit from a few more slow moments. Alongside the thoughtful artisan products, a highlight of SlowBox is the ‘mini magazine’ that explains each product in detail and offers tips on embracing slow living during autumnal October. The recipe for Cullen Skink (a Scottish soup) is a fitting touch. Entrepreneur reported that of February 2018, there were almost 7,000 subscription box companies around the globe. So, how does SlowBox stand out? Aside from the message that the brand is trying to relay and the personal touch, SlowBox stands out due to its curation of products and sustainable ethos. They lovingly choose artisans and small businesses to support, which are as sustainable as possible. In turn, this ensures subscribers receive good quality products with a stronger sense of heritage or meaning, that hopefully help them reflect on their own way of living. In addition, the monthly boxes are made from recycled materials. Without a doubt, a monthly surprise delivery of beautiful items that help to support small businesses and promote a slower lifestyle, ticks a lot of the feel-good factor boxes and would make a thoughtful gift for a friend. *SlowBox kindly gifted their October box for this post.